That’s right, ladies and gentlemen, friends and family, readers and collectors of fine books! 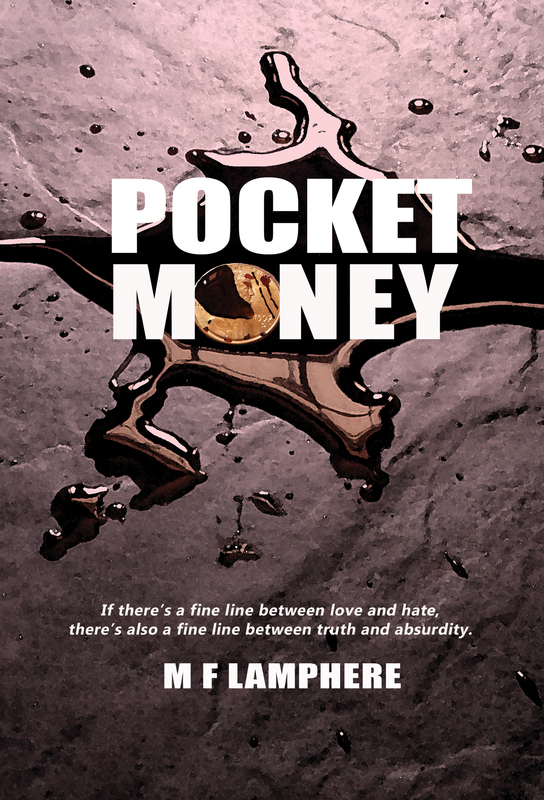 You may now purchase Pocket Money, the debut novel by author M F Lamphere. (That’s me!) Available through Amazon or Kindle. I’ve been away four years. A college lifetime. Heading back to meet up with my high school buddies, I wonder how I got to twenty-two with them still in my life. I wonder if they even are. Initial nostalgia aside, do we know each other? Do they think they know me? Did they ever really know me? Life changing secrets are revealed when four old friends reunite for a day of memories and murder. This entry was posted in Writing and tagged available through Amazon and Kindle, BUY IT NOW!, debut novel, I AM A PUBLISHED AUTHOR!, Mary Lamphere, Pocket Money, Pocket Money by M F Lamphere, Thank you for buying my book., truth and absurdity. Bookmark the permalink. 10 Responses to POCKET MONEY IS PUBLISHED! O M G!!! How exciting!! Can’t wait to purchase my copy! !